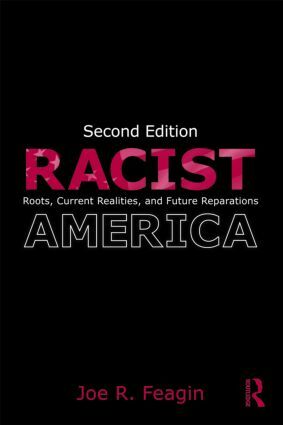 This second edition of Joe Feagin’s Racist America is extensively revised and thoroughly updated, with a special eye toward racism issues cropping up constantly in the Barack Obama era. This tenth anniversary edition incorporates many dozens of new research studies on U.S. racial issues that significantly extend and update the first edition's major chapters. It accents exciting new and provocative concepts, especially the white racial frame and systemic racism. The author has also added readable, perceptive discussions of numerous studies in new research areas such as environmental racism, race and health, and antiracist strategies, as well as in all other research areas covered in the first edition. He has thoroughly edited and polished the book to make it much more readable for undergraduates, including eliminating repetitive materials, simplifying endnotes, adding headings and more cross-referencing, and adding a glossary and many new and interesting examples, anecdotes, and narratives about contemporary racism, including at the opening of all chapters.